The blue spruce moccasin is made of 100% Genuine Leather. Features: Freshly Picked soft soled baby moccasins feature a unique design with elastic at the opening. These shoes are easy to put on, easy to take off, and most importantly: stay on your child’s foot. 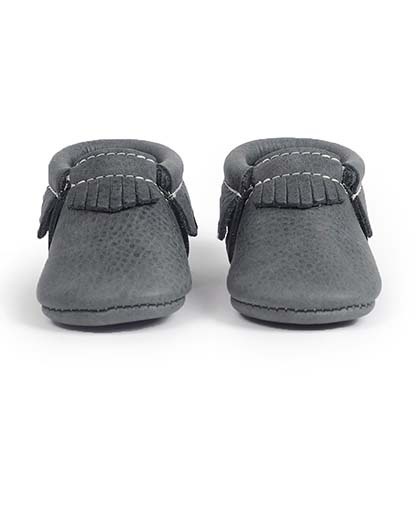 These soft-soled moccs are made with durable leather and are suitable for infants and toddlers alike.